As long as I can remember I have been fascinated by castles. In the summer months during my childhood my family went camping in various parts of the UK and we often visited castles. 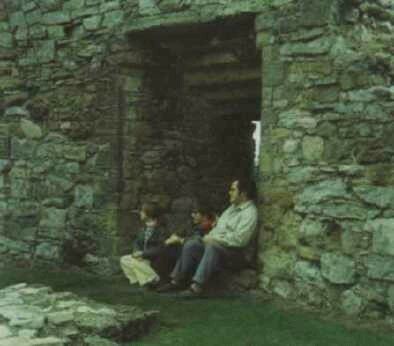 Here I'm pictured sheltering from the rain at Pickering Castle in Yorkshire with my father and sister. Pickering Castle has a fine example of a Shell Keep built on a motte of about 1100. It's a site I've visited many times, including in the middle of the winter during a rainstorm, when the custodian was most surprised that I wanted to visit the castle in such bad weather. Little puts me off when it comes to castles. I live in England and visit castles on a regular basis, assisted by my membership of English Heritage, who care for so many English castles. Buying a life membership for English Heritage was the best purchase I ever made. My main interest is the medieval castles of England and Wales although I do have a more general interest in medieval life and often visit churches and other medieval places. I don't travel abroad very often but when I do I'm always looking at the local castle and church. I do occasionally allow myself to dream about building my own castle based upon Castle Hedingham in Essex. I have visited hundreds of castle sites in England and Wales, ranging from grand royal castles like Conwy to half hidden mounds of earth in isolated church yards like Pulford, in Cheshire. To understand castles in the wider context I also visit other medieval sites and I am always reading some history book or other. 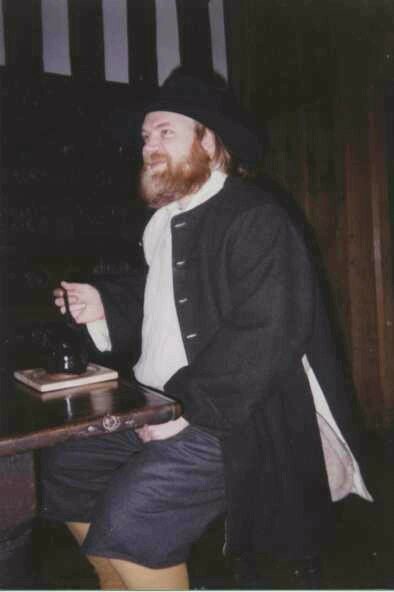 I am not a professional historian and have no academic qualifications in the field so please take my site as the work of an amateur enthusiast. 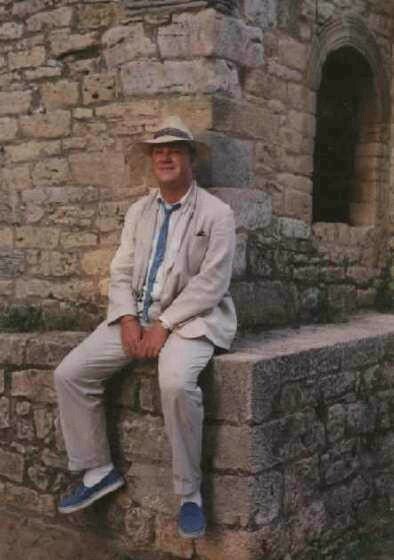 However, I do try to apply the highest academic standards to my work, including this site, and my research on licenses to crenellate has been published in the Castle Studies Group Journal and some of the leading academics in castle studies have been kind enough to read and cite these articles. My own thinking about castles is strongly influenced by "revisionist" writers who consider castles to be complex, multifunctional institutions of which military and defensive aspects are a small aspect much over stated by earlier authors (Although one of the social functions of castles was to deliberately state, and often over state, the military role and might of the castle owner.). I have written a few short articles on specific aspects of castle studies. In 2009 I started a project on murage - royal support for the building of town defences. I decided, for completeness to look at all the realms of the English kings and this has taken me outside England and Wales. This work was summerised in a paper published in the Castle Studies Journal (2013/14) and the primary source data published online (see Murage). Gatehouse started, in the early 1990's as a list of castle I'd visited and were going to visit. This was a Clarisworks ® document on my Apple Mac Performa 400 with 10MB of RAM and a 80MB hard drive. The list started to grow as I read more and more books and started to get more systematic in my research. By the late 90's I'd got online and research increased, although books were still more significant than online resources and many hours were spent in libraries. The power of my computer and the limitations of software still put restrictions on the database and lead to space saving 'shortcuts' (such as not putting down proper references!!!) which still effect some of the database today. By the early 2000's the power of my personal computer and of FileMaker ® meant the database could start to fully fulfil its potential. Early online versions of the database (in the form of 6 html tables) were superceded by a site of multiple pages built using Fourth Worlds WebMerge which was the basis of the current site. Online resources, notable PastScape - the online National Monuments Record, gradually increased in number and value and added greatly to database, although written texts remain, at the moment, the more significant source of information. Online access to texts, with searchable content - notable British History online editions of the Victoria County History - has greatly eased study and made my visits to libraries less frequent but still essential on many occasions. Although the odd, usually very old, textbook turns up as a reference which I have not read I have now, after over 20 years of systematic study, read nearly all the significant text books on English and Welsh castles and it is generally only new texts that need to be added to the database. However, there remains considerable work to be done on identifying primary historical sources. Some minor sites in county Historic Environment Records which are not yet online may not have been documented and may be added to the Gatehouse databases. As these HERs come online this should happen. Occasional new studies identify previously unknown sites or re-interpret old sites and this means the literature and databases need to be monitored for updates. However, although the Gatehouse project will never be finished, it is now substantially completed. Additions and modifications are now generally slight. What started out as a checklist of castles to visit has, I hope, become a useful scholarly resource. Poor health and limited finances means I will never complete my checklist and visit every castle in person but years of study online and in libraries looking at books, maps and photos means I've 'visited' almost every English and Welsh castle that has ever existed. This page last revised on 31 December 2013.